Home » Website Building » WordPress » How to Delete WordPress Theme? How to Delete WordPress Theme? When you install WordPress, it comes with default themes like twenty twelve, twenty thirteen and twenty fourteen. In addition to these themes you may also install many themes to check and preview your site’s look. Though you deactivate, all installed and default themes will be permanently available in your site’s root directory. You can view all the themes in your WordPress admin area by navigating to “Themes” option available under “Appearance” menu. Why to Delete Inactive Themes? The simple reason to delete those inactive themes is to reduce the file count. Each theme will consist of many files and leaving many inactive themes in your WordPress installation will result in increased file count. You can see the number of files under the file count option available with your hosting account. How to Delete Inactive WordPress Themes? You can delete those inactive themes from your WordPress site in the following two ways. 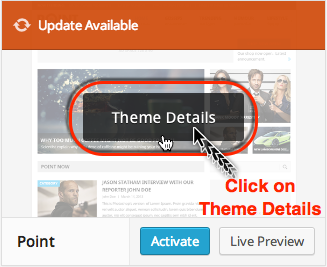 Login to your WordPress site as an admin and navigate to “Themes” option available under “Appearance” menu. Move your mouse over the theme you want to delete to see “Theme Details” option as shown below. Click on the “Theme Details” and look down at the bottom of the screen. You will see “Activate”, “Live Preview” and then “Delete” option. The delete option was moved away from other options to avoid wrong deletion of the theme. Click on the delete button and then confirm the theme deletion to permanently delete it from you WordPress site. 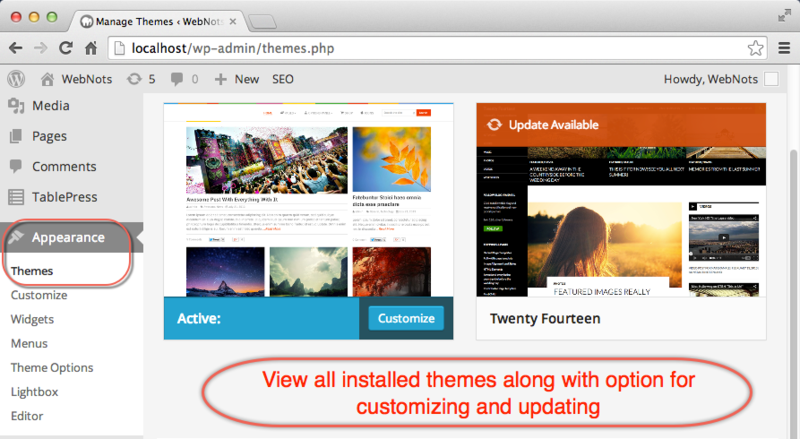 All installed themes will be available with the theme name under “wp-content > themes” directory. You can directly delete these theme folders from your hosting account using File Manager option normally available with cPanel or using FTP software like FileZilla.